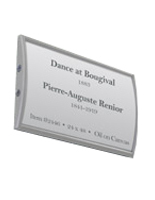 Media Size: 6" x 7.5"
6" x 8.5" 7.5" x 10"
Double-sided adhesive on the back for easy installation. Aluminum construction for many years of use. Includes a non-glare lens for legibility of the sign. 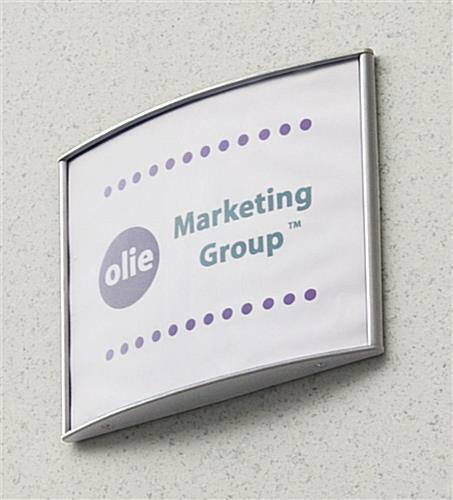 This graphic display, door sign that mounts to a wall is an affordable and professional way to showcase notices or name plates. 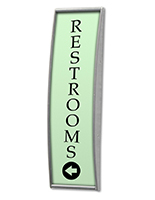 They can be used to mark offices and rooms, or as wayfinding signage. 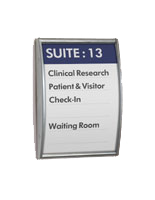 Customers can easily create and print messages or logos for the door sign using a regular office printer. The wall frames feature double-sided VHB tape on the back, enabling users to adhere the displays onto any flat surfaces to identify any area. 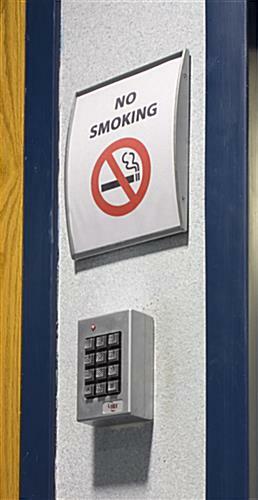 This silver door sign, like a name holder, can also be used as a warning sign frame, displaying "No Smoking" or "Emergency Stairs" signs. The curve designed of this product will make your displayed graphics stand out. 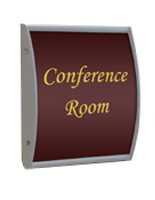 The office signholder can be attached to the wall or door vertically or horizontally, as a result of the double-sided tape backing. Constructed from silver anodized aluminum, this door sign that sticks to a wall is very durable and will last for many years to come. 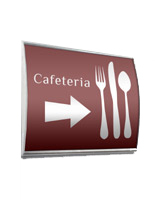 The neutral, black coloring ensures these directory displays will coordinate with virtually any environment. Printed graphics are easily changed using the provided suction cup. Simply lift the non-glare lens using the suction cup, and place your sign behind the lens. 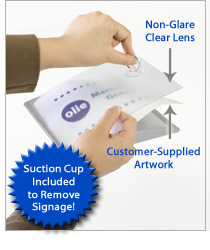 Your purchase includes the non-glare lens to protect content from dust or glare from hindering the view of your signage. 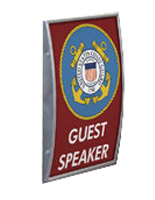 This name holder, door sign for office use is perfect for use in schools, hospitals, law firms, government agencies or office environments. 32.0" x 8.0" x 0.875"
not great. you have to print the sign yourself and hence cut the paper to the correct size. it would be nice if there was an online template or cardstock paper sent with the sign. Hi Ann! We sincerely apologize for the inconvenience. 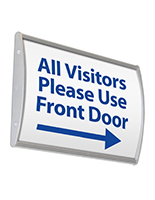 This sign holder is available in many different sizes to fit your existing signage. We'll certainly send your feedback along to our product development team to see if we could provide an online template or cardstock paper to make printing your sign easier. Thank you! This our 3rd purchase of these Wall Sign Holders. 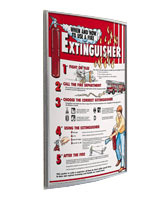 They are perfect for our company to display our different departments and manufacturing areas. We're so happy to hear that you love your sign holders, Kevin! Thanks so much for the great review. I ordered this sign hold for our suite of offices and they are very nice looking. I like that I had the option of silver or black (I got the silver). They are very well made and look quite sharp on our walls. So happy to hear that your products look so sleek, Jennifer! Thanks for taking the time to review! Very Nice but too big for the area we want it located. Returned and re-ordered in a smaller size. Displays2Go offers good quality products. We are very happy with this wall sign holder, although we haven't actually installed any of these yet. They will go into a new kitchen showroom to give details of each vignette. Just two things I would mention: 1. there is a little suction cup in each package that puzzled us, until I went back to the product page and saw this is mentioned when you scroll down - it's used to help lift the snap-out lens. Good idea. 2. the height for the insert is a smidgen less than 6 inches, so I had to trim a bit off my planned signs - but it's not a problem to our insert design.